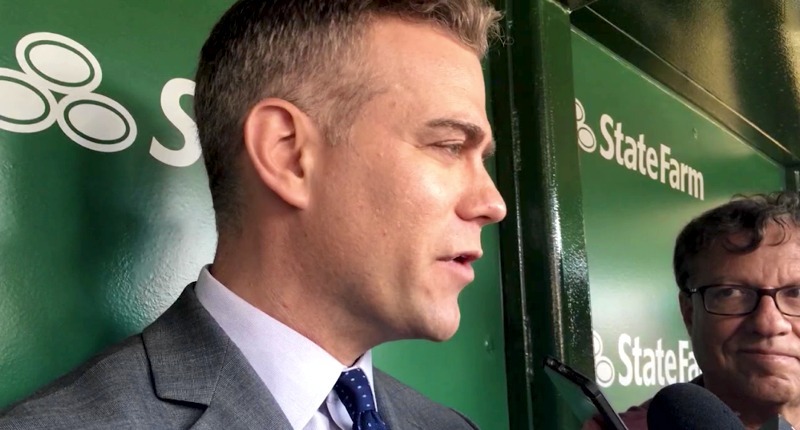 That’s part of what Theo Epstein had to say about his Chicago Cubs’ start to the 2019 season, and it’s a part that resonates, though I have some conflicting thoughts. On the one hand, I completely understand that sentiment. 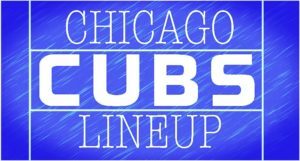 If the Cubs had started off with ten straight wins (instead of 3-7), I’m sure I would’ve been dancing in the street, proclaiming total and complete vindication for every bullish projection and hope swirling around in my mind. On the other hand, the way wins and losses happen does still matter. And I think I would’ve known that, too. For example, had the Cubs started off 10-0 despite a fluttering offense, a wrecked-but-lucky rotation, and just enough out of the bullpen to win each game, I’d like to think we’d have pointed that out by now. Probably repeatedly. Probably annoyingly. In other words, I can recognize that we probably overreacted to the Cubs slow start this year, while still acknowledging that the way they’ve lost some of those games (the bullpen meltdowns) is/was a legitimate and an expected concern before the season even started. If you expect to maybe run out of gas before getting on the highway and then you hit traffic and run out of gas on the highway, the outcome wasn’t exactly unlucky. You risked it. Maybe you don’t hit traffic every time and make it safely to your destination, but that does really let you off the hook. Still, I can appreciate Epstein’s message. 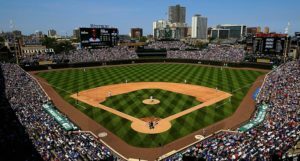 We know this Cubs team is good and with a little luck could have had a much better record. If they manage to turn things around in short-order, the good vibes outside the locker room will be right back out there and not completely unjustifiable. Well, hopefully that’s true, but I’ll have to agree that until we see some wins, there’s going to be a cloud over the team after the end to 2018, the rough offseason, and the slow start to 2019. And I’m afraid we won’t start seeing the wins until the pitching totally settles down. Fortunately, the bullpen has rattled off 12.0 scoreless innings in a row (more on that in a bit) and could be getting a few key personnel back soon enough. 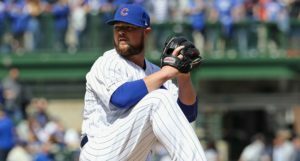 Via Cubs.com, Theo Epstein noted that closer Brandon Morrow has gone through “a series of bullpen sessions with no lingering issues in his right elbow,” which should put him right on target to return by late April(!) or early May. They’re trying not to put a firm timetable on it, which is smart from a managing expectations perspective (and because he’ll still have to go do a rehab assignment), but that’s good news. And it’s not all. Epstein also said that righty Tony Barnette and lefty Xavier Cedño are getting closer to rehab assignments, as well. Given the injury history, not one of those pitchers can be counted on to save the bullpen, but you have to be happy to potentially have up to three new, quality arms to toss into the mix. If just one of those guys becomes a legitimate late-game option (and, if healthy, it’s pretty hard to imagine Morrow not being that) you’re feeling MUCH better about the bullpen. And if two or more of those guys just play to their normal expectations, this will be a bullpen reborn. We’re still quite a way from that, but I’m glad to hear the update. Circling back for a moment to wrap up the “urgency” thing. “There’s a lot of belief that we’re a really good team and it will manifest over time,” Epstein told The Score. That’s an acceptable message, even if it still feels a little bit in conflict with what we heard all offseason about urgency. I guess we’ve banged that drum enough, though, and obviously Epstein is pretty tired of hearing about it. Like Brett said this morning about Joe Maddon, getting out of this early hole is going to take some time, and a day-by-day approach. 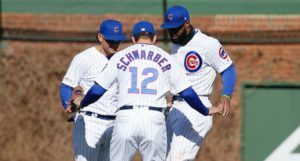 Feeling an increasing sense of urgency RIGHT NOW would probably not actually help the Cubs get where they need to get.